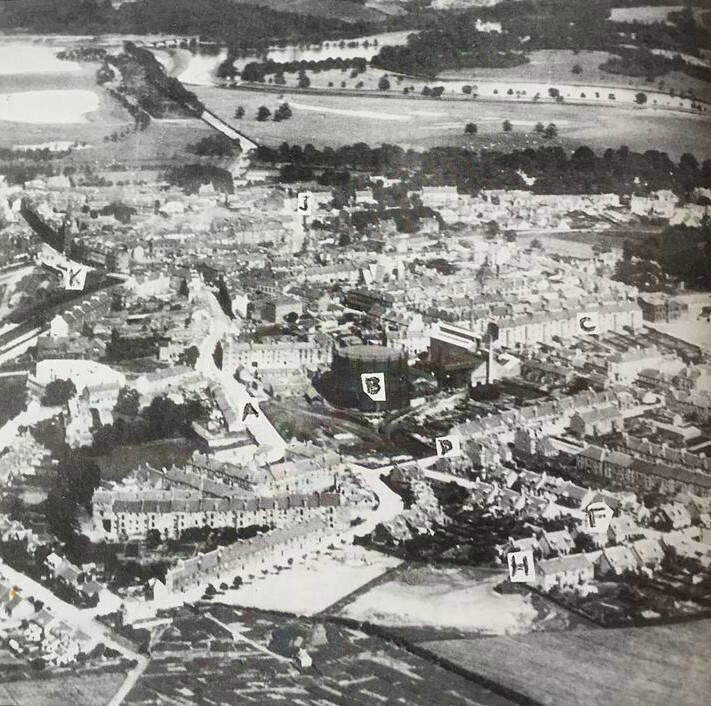 This picture was taken in 1928 and you can notice the changes that the town has gone through in the last 87 Years. As you can see, there is no M74 at the top of the picture but a road leading up to Motherwell. You can also see the line where the grand avenue of trees lead from the Palace up to the Duke’s hunting lodge at Chatelherault. Tuphall Road (A) is shown from it’s junction with Quarry Street and Bent Road, with the Gasholder (B) to it’s right. The back of Johnstone Street tenements (C) has Woodside School beyond. Selkirk Street (D) ran through from Portland Place (E) to cross Tuphall Road. Scott Street (F) and Butterburn Park Street (G) climb, uninterrupted, from Tuphall Road and across Burnblea Street (H). Low Patrick Street (J) has the old Hippodrome at its foot. Central Station (K) and the former Town Hall are on the Left of the picture. The fields at the bottom of the picture would be later built on as the construction of much needed council housing got under way. Arial photograph of Hamilton in 1928. Written by Hugh Haney for Historic Hamilton. The informations at yir’ fingertips, if no ye jist hiv tae ask. Go on meet the people, write a book, tae them that’s child’s play. They’ll tell ye things ye won’t believe, stuff that’s bin telt fur years. You’ll hiv loads of things tae write aboot, if ye listen tae the banter. See ye cannae ask a young un’ aboot whit happend in another age. Yil git loads that’ll talk awe day,n’ tell ye porkies till they’re hoarse’. They’ll say they worked on the titanic, if ye buy them a single malt. They’ve got histories to be told, the truth is in all of thir faces. Written for Historic Hamilton by Hugh Haney 16/10/2015. If the proofs in the pudding’. You’re page is the Plum””. “Bob was his family name, but in the Eddlewood community where he was born in 1902, he was known as “Hep”. This nomenclature lasted through his lifetime. Bob attended Low Waters School, and then followed his father and brother into working in Neilsland pit. He played his junior football with Dykehead Juniors. He then had a short spell with Third Lanark. He went back to playing Junior with Quarter Juniors, and then had the unique experience of signing for Ayr United on a slab of coal down the Neilsland pit. I believe that was in 1922 and then he went on to play for Ayr for 15 years. 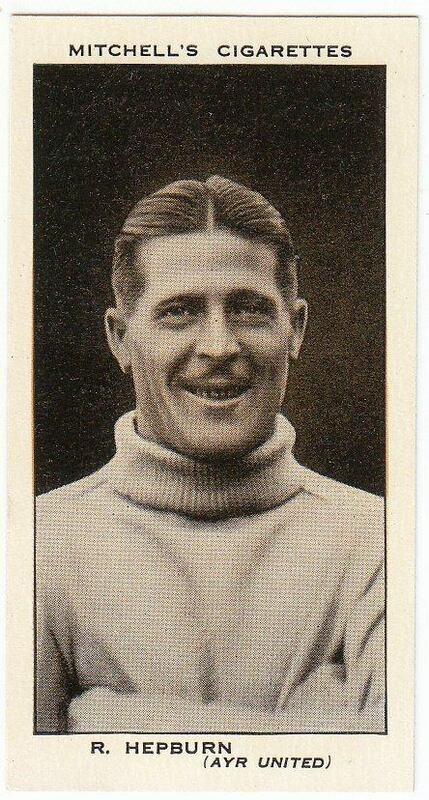 He was capped for Scotland against Ireland in season 1931-32. His biggest disappointment was after being selected to play at Wembly was not able to play owing to injury. Hep was rewarded by Ayr with a benefit match against Manchester United. It was in this game that the late great Frank Swift made his debut for Man United. Hep was very popular in the close knit Eddlewood community, and with a few more local worthies organised and performed in concerts in the community hall. One of my fondest memories was being carried on his shoulders at the head of the pipe band, in the final Eddlewood gala. I believe Eddlewood missed his gregarious personality when after marital differences with my Mother, he moved to London. Cigarette coupon featuring Bob Hepburn. We would like to thank John’s daughter Carol Hepburn-Manseau for taking time to send us her pictures of her Grandad and for writing down her dads story. 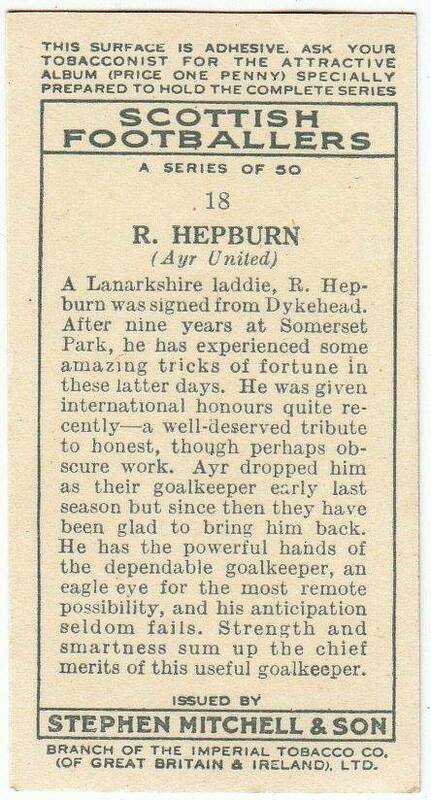 The photos provided are from a football coupon from a packet of cigarettes which featured Robert Hepburn. I myself can’t help but think, that those two Golden Spaniel Breed chickens would have made a delicious Sunday dinner for the persons family that stole them. 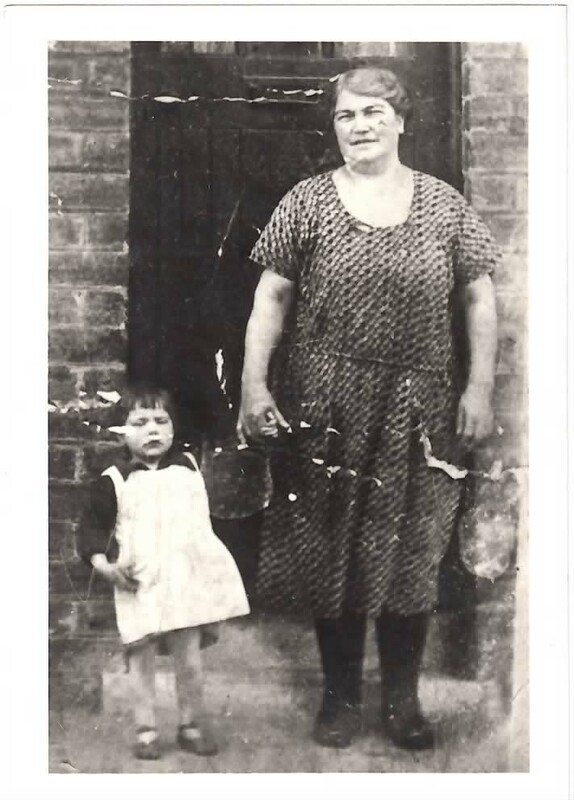 Mary with her grandaughter Agnes McNamee at 8 Back -o-Barns. 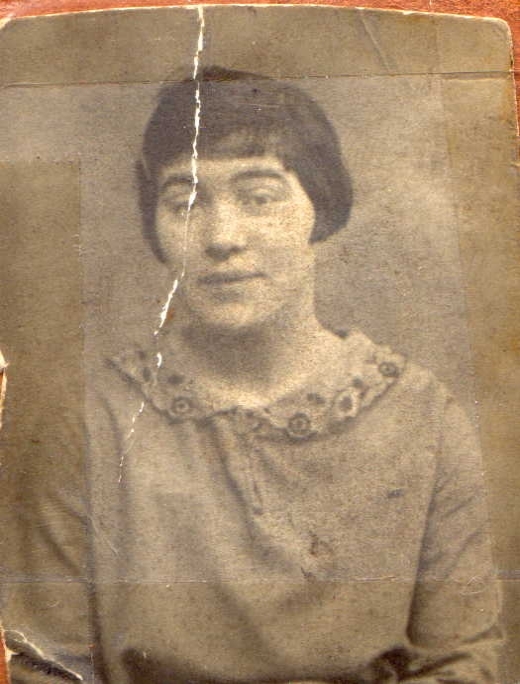 Mary Ellen Connolly was born on the 25th of December 1875 at James Street in Sligo Ireland, she was the daughter of Michael Connolly (A Baker) & Maria Carr. Mary lived in Sligo with her parents, 5 brothers & 3 sisters and later moved to 9 Cranmore Street. She was married at the age of 25 to a local man called Patrick McAuley. They immigrated to Scotland in the summer of 1902 and moved to Motherwell where Patrick gained work at one of the local coal mines. On the 29th of October Mary gave birth to twins Mary & Annie at Fairfield Place in Coursington Street, Motherwell, where they lived for a further 9 years before moving to Glasgow for a short period. The family then moved to Hamilton where Patrick was working as a railway plate layer and lived at 28 Bailles Causeway. Sadly Mary’s husband Patrick became ill and died of Pneumonia on the 25th of April 1913. Mary gained employment as a laundry worker and moved to 8 Back-o-Barns where she would live the rest of her life. Six years later, Mary met a widower called James Brunton who was a carter and originally from Peebles, he lived in Hope Street and they had a son in the year 1919 who they named James Brunton. Mary & James later married on Mary’s birthday on the 25th December 1934 at St. Mary’s RC Chapel. 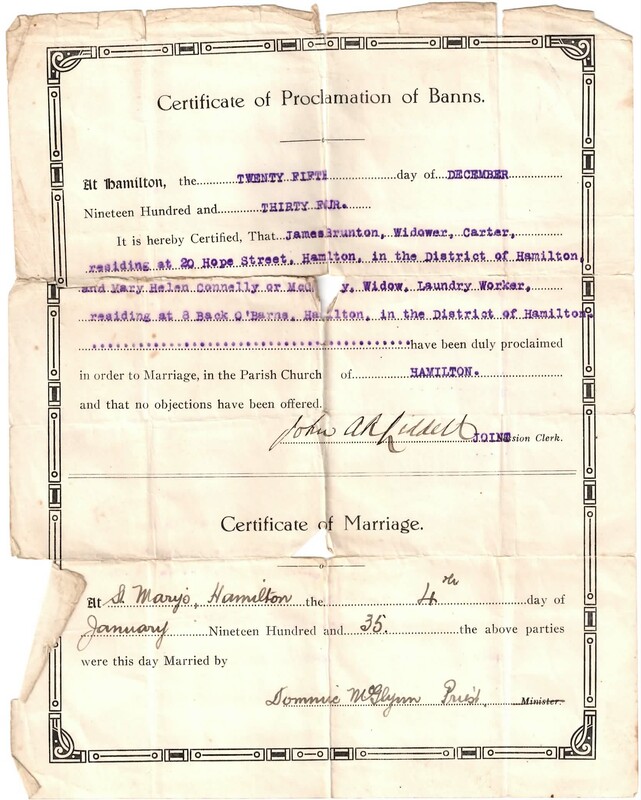 James Brunton & Mary McAuley’s marriage Cert. Sadly James died on the 11th of April 1947 and Mary was once again a widower. Mary’s daughter, Mary continued to live in Hamilton and has an extensive family who are the McCallum’s, McNamee’s Poultons & Mitchells. Annie (Mary’s twin) later immigrated to Canada where she met a local man Amos Anderson and they raised a family with two daughters who they named Thelma & Olla. Sadly Thelma Died in 2008. 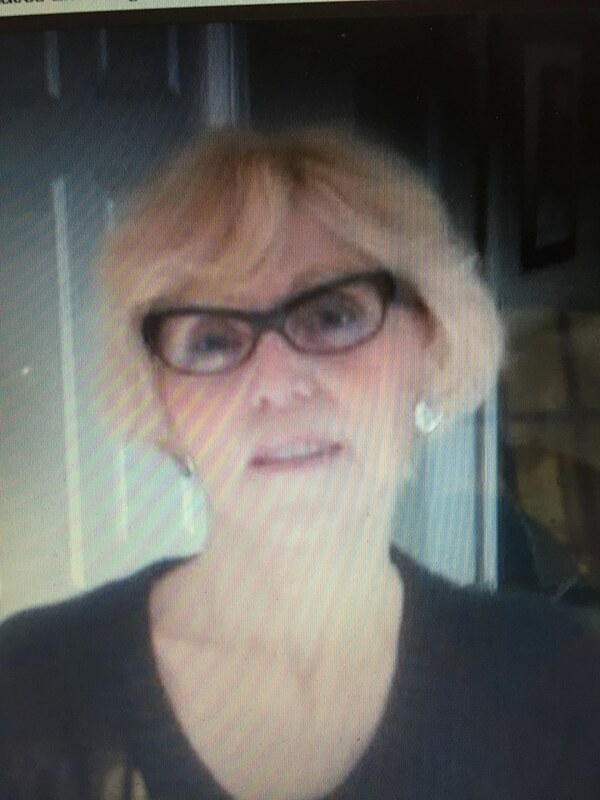 Olla who is married to Jim Stephens have their own family and still to this day, Olla keeps in touch with her Scottish cousins Janette McCallum,James Poulton & Anne-Marie & Mary Mitchell. Mary’s grandaughter Olla Stephens from Canada. Mary continued to live at 8 Back-o-Barns for the next eight years until she sadly took an epileptic fit on the 18th of March 1951 and unfortunately when this happened she was standing at her fireplace and when she collapsed and her apron caught fire. She was taken to Hairmyres Hospital in East Kilbride where she died the next day of second degree burns. Mary was survived by her three children and she was sadly missed by all.